Divorce mediation is the cornerstone of the services provided by Alexander Mediation Group. New Jersey divorce mediation is our main focus; however, we also practice New York divorce mediation. Both New Jersey and New York divorce mediation consist of meeting with a mediator (a neutral third party) and resolving all of the issues required in order to draft an agreement for separation or divorce. You will also have all the required legal papers completed. The mediator helps you work through everything from parenting schedules for children to equitable division of marital assets. Child support, spousal support, college educations for each child, and distribution of the marital home are a few of the issues handled in sessions. At Alexander Mediation Group, we cannot stress enough the value of choosing a mediator who is rooted in the mediation philosophy, especially a mediator who focuses on a facilitative, client-centered model that empowers the parties. We believe that you and your spouse, not the courts nor anyone else making decisions in your stead, are in the best position to determine your future or that of your children. The decisions you make will impact you and those who depend upon you for decades to come. We believe that individuals are most educated about their own particular needs, and as they will be living with the outcomes of their decisions, they should be empowered to make them. Whereas judges render decisions with the information presented to them, they do not have the benefit of your entire history, feelings, and parental sense regarding your children. Neither judges nor your attorneys have to live with the outcome of your decisions in the same way that you do; therefore, your involvement throughout the process is paramount. When we practice New Jersey divorce mediation (and New York divorce mediation as well), our focus is on the parties first and foremost, and helping them reach informed, thoughtful determinations. A client-centered approach empowers you to reach a resolution that both you and your spouse choose rather than having the court system impose its verdict upon you. Divorce litigation, where spouses are pitted against one another as adversaries, is an outdated, anachronistic model of dispute resolution. Much the same way that medieval medical treatments exacerbated (even overshadowed) the original aliment, litigation can further injure a family in need of healing. Conversely, mediation encourages spouses to work together constructively towards an agreement that is healthy and sustainable. Mediation invites parties to retain control and create their own outcome by engaging in direct, productive communication and working together. 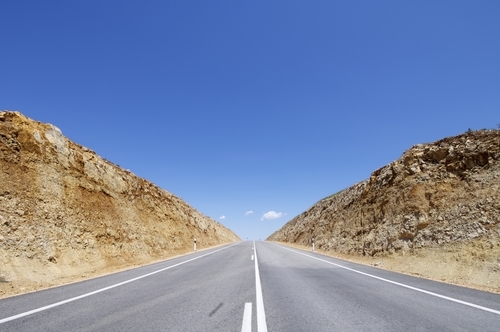 By operating thoughtfully as a team, you arrive at a better resolution. Not only is this approach quicker and less expensive than traditional litigation, it tends to produce healing and relief rather than disintegration. Mediation lays the foundation of a future relationship that’s vital and nurturing to both you, your spouse, and your children. You do. With our help. New Jersey and New York divorce mediation are premised on the belief that those directly involved and most influenced by the outcome are the most appropriate and informed people to make decisions. The representing attorneys, the mandates of the contested process, the judge, and the settlement panel all become involved and all have control that once belonged to the parties. Things are different in mediation. By engaging proactively in your divorce, you increase your understanding of legal choices and strengthen your sense of control (which can often feel attenuated by divorce). Your sense of autonomy, command and well-being increase. The mediator offers guidance, support, and information. You make the ultimate decisions. Mediation focuses on what is needed for the parties to move forward. Blame is unhelpful to the formation of problem-solving alliances where both people feel respected and heard. In mediation, we acknowledge that human relationships are difficult — primarily because they involve human beings! Rarely is anyone blameless in a relationship that fails to meet original hopes and expectations. Most people do their best to love one another and live up to who they promised to be, and most people fall short; sometimes this happens in ways and for a time period that the marriage cannot withstand. Often, the event identified as the catalyst for the divorce resulted from a more complex and ongoing history of actions and reactions, conscious and unconscious retaliations and defenses, attempts to recover and self-protect. Mediation provides a non-judgmental and forward-focused environment to address the past and deal with it productively — rather than unconsciously allowing it to dictate the future! New Jersey divorce mediation clients and New York divorce mediation clients are encouraged to discuss the past as is necessary to enable them to more fully inhabit the present. This is quite different from dwelling in the past to the point of luxuriating in a stale narrative that serves only to punish the other and re-injure (or even re-traumatize) the speaker with each recitation. Allotting blame can become a fulltime occupation, and it can be deleterious to healing from the past and charting a better course for the future. Mediation clients can take responsibility for past failings and identify what’s needed to repair these when possible. They also pinpoint what can be done differently going forward to avoid repeating past transgressions. All of this can be considered when forming their agreement. 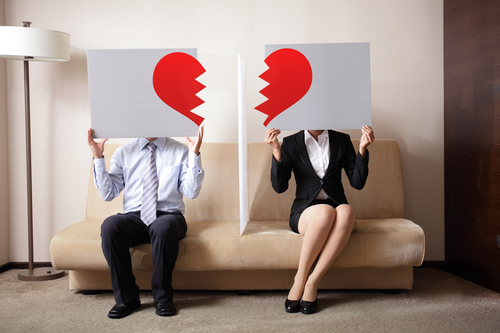 People in New York and New Jersey seeking divorce are often in the early stages of grappling with the hurt they are experiencing and have, often without malice, inflicted upon one another. Expressing some of this in mediation sessions can be important so that each party can experience the relief and resolution that comes from communicating their experience and having it truly heard and acknowledged. Recognizing and identifying hurtful behaviors is also useful so the spouses can put these behaviors in the past by changing patterns going forward and making different choices that will support a relationship respectful of each other’s needs. This is critical for couples committed to successfully co-parenting. New Jersey divorce mediation and New York divorce mediation facilitates discussion around aspects of the past that call for attention and affect the future — this is a useful benefit of mediation that is typically absent in litigation proceedings. In the adversarial system, participants feel under attack, so it follows that they would enlist professionals (“hired guns”) to fight on their behalf. 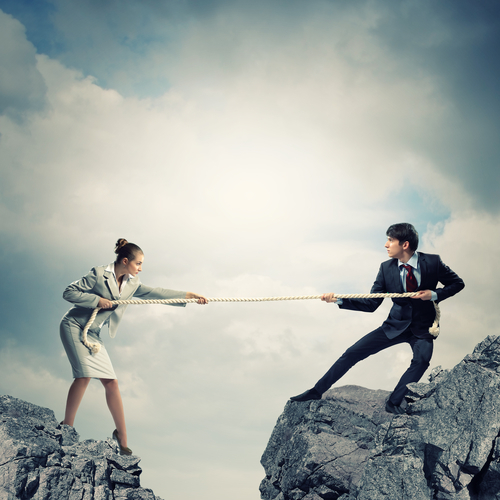 In mediation, clients are not cast as adversaries fighting one another, and so there is nothing to defend against. The mediator keeps both parties informed of their rights and the law, so that both parties have a framework in which to make educated decisions. 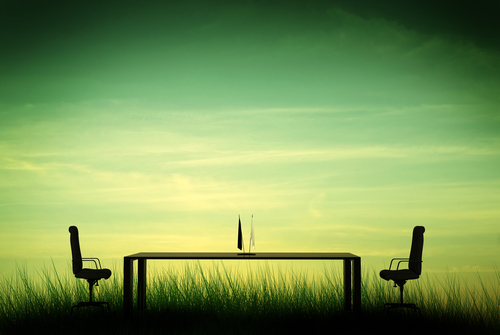 Mediation clients commit to full disclosure of their financial data. In instances where an expert is needed or one party would benefit from working with a specialist, we put this in place as needed. Clients are free to retain attorneys at any point during the process should they feel they require individual advice. All clients are advised to utilize review attorneys once we have a solid draft of the mediated agreement. For New Jersey divorce mediation clients, that is either a Property Settlement Agreement or Marital Settlement Agreement. For New York divorce mediation clients it is either a Stipulation of Settlement or Separation Agreement. This review gives each party the opportunity to have a separate attorney review the agreement on the individual’s behalf. Clients are encouraged to work together, maintain a respectful and candid dialogue, and address concerns and needs as they arise so they can continue to be acknowledged and met. How Do I Know If My Spouse Is Disclosing All of Their Assets And Earnings? However, clients entering mediation expect openness and transparency. They agree that this is the most direct path to satisfactory resolution. People who are willing to mediate. While there is always conflict, both parties must be willing to come to the table. Even high-conflict parties with multiple difficult issues upon which they do not agree are good candidates for mediation, provided they are willing. Parties need not be on great terms or have any of their issues resolved prior to coming to mediation — working with people who are not seeing eye to eye and helping them resolve issues is our job. Often people are better suited to come to the mediation table after they have had at least a few weeks to process the situation and, when needed, the opportunity to begin addressing the emotional impact with a professional. Couples meet with the mediator for several sessions, each session running approximately an hour and a half to two hours. During each session, the clients and mediator discuss the matters concerning the divorce until they arrive at resolution on all issues. The mediator gathers detailed and comprehensive information during sessions not only to draft the settlement agreement but also to draft the court papers required to file the divorce. Clients review the agreement with the mediator and are encouraged to take it to independent counsel — mediation-friendly review attorneys — prior to its finalization. Once the parties have signed off on their agreement, the mediator can then guide them through the legal process. One of the things that sets Alexander Mediation Group apart is our ongoing commitment to our clients. We are the only mediation firm in the state of New Jersey to offer a complimentary monthly Divorce Support Group to all clients, the Morris County community, Somerset County community, Hunterdon County community and beyond. We understand that divorce does not begin the day you pick up the phone to call us, nor does it end after your court hearing. 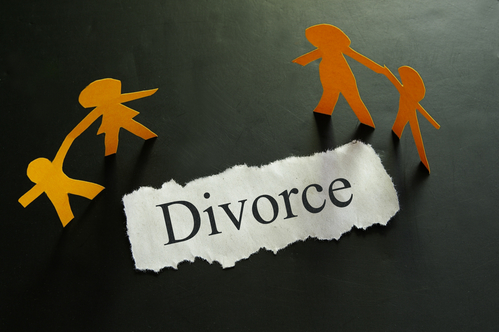 Rather, divorce is a process that affects one’s life in a variety of ways for various lengths of time. While divorce is replete with challenges, it is also rich with possibilities — to access, reevaluate and make choices that will serve the future. We are committed to minimizing the stress incident to legal proceedings. By managing the NJ divorce papers and process on your behalf, you are free to focus your attention on moving forward. Rely on us to simplify divorce and bring it to human scale. It is our goal to remove the sting that can accompany the formality of legalities and to partner with you through this time and beyond, for as long as you need us. 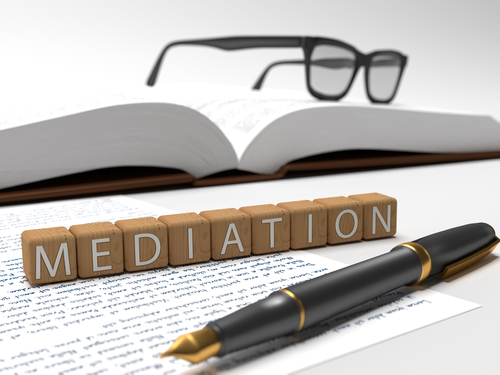 More than anything else, what sets Alexander Mediation Group apart is our mediator. For Ms. Alexander, unlike other attorney mediators, mediation is not a secondary service — it is the most essential service she performs. Ms. Alexander went to law school with an express focus on mediation and alternative dispute resolution. She was convinced early in her career, even in her days at Columbia School of Social Work, where she worked with vulnerable adolescents and families, that problem solving was best approached collaboratively, not aggressively or adversarially — and never by pathologizing or vilifying the victims. She wanted to learn New Jersey and New York divorce mediation practices and law so she could apply this unique method of problem solving in the real world. Her background in social work and psychology along with her sensitivity to the developmental needs of children uniquely qualify her to help clients in a holistic manner. She considers the well-being not only of the children, but of the redefined family unit. Click here to contact us about a free phone consultation about New Jersey divorce mediation or New York divorce mediation.